Is it a separate tank from Al Khalid 2? Seems to be separate from Al-Khalid but there does not seem to be much difference in performance at least when you compare the specifications of both tanks. Perhaps it will evolve further and will be a much different tank at the end of the project. Do we have any share in this project like Al Khalid - or purely chinese? Why is it mentioned to be a third generation tank?....I think it is supposed to be fourth generation similar to the Russian T-95 or T-99(Armata platform). Otherwise Al-Khalid 2 is a more than capable 3rd generation platform. I think its the chinese philosophy of calling things one generation less. like J-10 is in chinese opinion 3rd gen and J-21 4th. Currently there is no operational tank in the world which is 4th Gen. Even the most advanced tanks of our days are third generation. Still not chunky like M1, Merkava, Challenger or my fav Leopard 2. I would like to see Pakistan Army increase the number of tanks it has, 4300 tanks. Keeping around 1000 each of Al-Khalids I/IIs, Al-Haiders and remaining number filled by an advance upgrade of T-80s or a third type. But all these tanks would be useless without a lethal, layered Air-Defence SAM Network like in the class of FD-2000s, S-400s, Buk-M1s, etc. We already have a average to good SAMs for Low-to-Medium altitude. Just need long-range/high-altitude mobile SAMs. This one has surpassed the 50 Ton graph atleast, coming near to Type-99G. I would be expecting more armour thickness for such weight increase. The Pakistani armor stands good with with AZ, T-80 and AK complimented by T-59/69's, whats required are the likes of guederain, rommel, patton etc in the commanding ranks and excellent logistics and other support elements to continue the drive. sometimes I wonder why we are still focusing a lot on building bigger and fatter tanks. We should more heavily on smaller, unmanned platforms that will help in taking out enemy tank forces. It will give much better stealth and more tactical advantages. You're kind of right lamdacore.....but Pakistan is not focusing on building "bigger and fatter" tanks buddy.....it is simply moving on with time. In this instance it is about transitioning from 3rd gen platform to 4th gen platform in the future. What makes a tank a 4Gen tank? Stealth? Just curious. Well different countries have different criteria for the term "generation"....all according to their own respective contexts. From reading on the internet it seems like the next-generation will include improvements and some new stuff in all the aspects of the tank......stealth being one of them but not limited to. Advance ERA, transparent armour, sleeker design for lower silhouette and other technological advancements incorporated. Also perhaps higher cruising speed and better engine(fuel efficient, torque). Edited by Metanoia, 26 July 2014 - 01:47 PM. tank is about protection and armor, the best protected tanks in the world ( challenger, merkava etc ) are also the heaviest . tanks cannot be unmanned, its not like a drone , you need crew inside not just to run it but to fix it if a problem occurs, what if the autoloader gets stuck ? Couldn't the army recruit more educated crew OR educate the crew for newer models? If we are unable to do so it would be a big disadvantage for us as time progresses and technology starts to move forward. Are there any plans underway to address this shortcoming? Another example of how the cultural decline affects every single aspect of life. Nowadays there are drivers and Naib Qasids in government departments with BA, so I think there is a large pool of educated young men if the army wants to tap into it. But even army officers are drafted after high school (Inter). The best way is to have a rigorous testing system which tests the IQ of the applicants. I think army can as in air force the culture is quite different they give more "Baqayajat" (don’t exactly know what they are, pension and other things given to them after retirement) to those officers who obtain 2 years masters degree in any discipline They don’t mind Grade or institution from where they are getting their qualification therefore their NCO types officers do go to universities like VU or AIOU to obtain any type of degree. If army will follow same course and give more benefits to any one who obtain a 2 years bachelors degree then these people will at least try to get one. You should never count on government as these foreign nationals will not be doing any good for us in next thousand years. There always a Motivator and you should find one this is just my observer’s perspective. u dont need to be commissioned in pak army to know what goes on and in and about in the army forces. Having a close link through circle of friends in army or family like father,cousins etc gives a fair amount of information especially through open discussions on many events, parties, get togethers as well as usual cribbing among officers mates. 1965 is long gone and having a chat with a tank driver in 2000 about upgrades of T-69 it was great to know how night vision in these tanks has enhanced the night combat capability of Pak armoured forces. The army prefers FA passed now though sifarishis who are matric or under may still make it. In the end, it comes down to Nowshera armour school to train the crew and through excercises in units their skills increases. There was an old member M1Tanky, you should find his posts regarding the analysis of tank crews. According to Kanwa Defense Review, Pakistan is looking forward to testing the new MBT-3000 (also called VT4 for the export version) main battle tank designed by China North Industries Corporation (NORINCO) based in Beijing. According NORINCO, the MBT-3000 is the latest technology of main battle tank especially designed to meet the challenge of high-tech warfare. Unlike the older AL-Khalid or MBT-2000, the MBT-3000/VT-4 is motorized with a 1300 horsepower diesel engine manufactured in China. This is slightly more powerful than the engine currently used by the Type 99G, the most advanced main battle tank used by the People's Liberation Army, with 1280hp. The MBT-3000 developed for the overseas market is indeed the most powerful tank made in China. 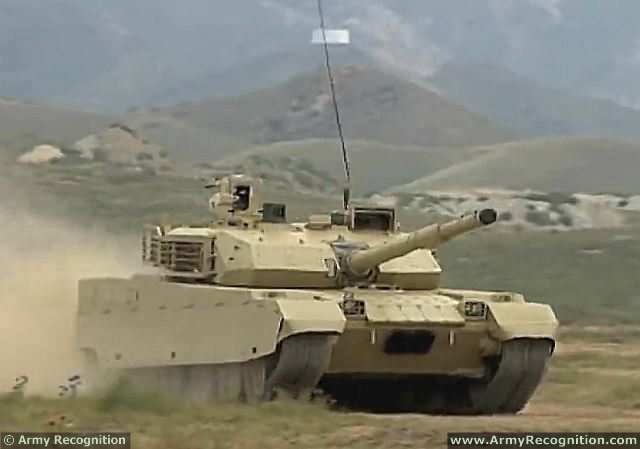 Pakistan is reportedly testing under its indigenous next generation main battle tank project, codenamed Haider MBT. The main armament of the MBT-3000 consists of smoothbore gun fitted with a thermal sleeve and fume extractor. It is fed by an automatic loader which holds a total of 22 projectiles and charges which can be loaded at the rate of eight per minute. In addition, the tank is equipped with a set of guided weapons, allowing use of a guided missile with a range of up to 5 km. The turret is in the centre and is of all-welded steel armour construction to which a layer of composite armour has been added over the frontal arc. To increase the body side protection, the MBT-3000 can be fitted with with explosive reactive armour (ERA). Stowage baskets are mounted to the rear and each side of the turret. The MBT-3000 is equipped with a stabilised fire control including second-generation cooled thermal imager sights for the commander and gunner. The tank is also fitted with laser range finder. The MBT3000 also beats the Type 99G in other design aspects, Kanwa said. The tank has a remote-controlled 12.7mm machine gun which the Type 99G does not have. Furthermore, the thermal imaging systems designed for the export version of the MBT3000 is a generation ahead of the ones developed for the domestic version of the MBT3000 and the Type 99G. Kanwa said the 125mm main gun of the MBT3000 can fire the 125mm Gun anti-armor missile known as the PG7 missile. Introduced from Russia, the PG7 allows the MBT3000 to hit targets five kilometers away and can penetrate 240mm rolled armor. In tests, the MBT3000 could fire three missiles in a minute. As for regular tank ammunition, the auto loader of the MBT3000 enables the tank to fire eight rounds a minute, making it China's most advanced and powerful tank at present. Good news. As Dizasta mentioned earlier, I think now that we have the capability to build and upgrade tanks on our own we should definitely look to increase the numbers of tanks. They still play a very relevant role in the battlefield, and can even be used to transport troops, like the Israeli Merkava. More than ever battlefields are intergrated and multi layered, infantry and armour work side by side. More armour can make your infantry more effective, as long as it has adequete aircover. This can be provided by a large volume of manpads and vehicle mounted short range sams, as well as medium and long range SAM's to cover airstrikes. Regarding the educational levels of tank crews, this is something the army can fix quite easily if it wants too. For a start increase the salaries and benefits of tank crews and it will become a more attractive job and attract better quality recruits. As for the current cohort, it's not like all of our tank crews are deployed. They can be trained. I doubt many of them are in a position where 18-24 months of full time education and on the job training won't make them adequetely trained for the job. Put them back in the class room, even if it means going over basic maths/science whatever in order to give them the background required to use this high-tech equipment. New Chinese-Russia made ...... ?????? Why Russia ? this tank has nothing to do with Russia.